I wasn't aware this book was written in free verse until I picked it up to read it. I've developed a fondness for free verse stories as I've become an adult. Sadly I'm not sure I would have picked this up as a kid. 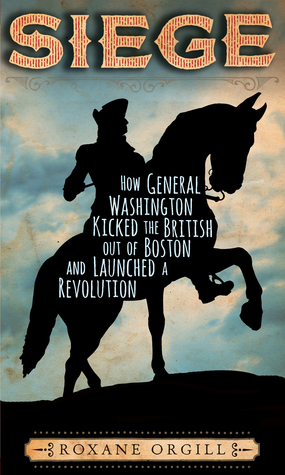 But it's a fabulous telling of one of the major events leading into the American Revolution. The siege of Boston was the prelude to the 'official' start of war between the patriots and the British and as such was an important series of events in moving the country towards independence. One of the problems with writing history nonfiction for young readers is knowing how many details to include. 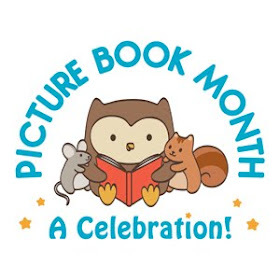 If you don't include enough, the young reader doesn't get a good picture of events, but if you include too many details, the reader will get bogged down and lose interest. So the combination of free verse with it's limited word use with history makes for a great combination. But only if the writing is well done. And the writing here is very well done. The poems are short enough to be quick to read, but include enough information to be compelling. At least I found the writing compelling. The author also did a fabulous job balancing different aspects of the story. There are poems about Washington and the challenges he faced in pulling together untrained, poorly supplied, volunteer soldiers from across the area. There are poems about the orders given by Washington in an efforts to establish some discipline. There are poems about life in the camps (mostly boring with occasional events of interest). Poems about the British in Boston give a look at a city under siege. Henry Knox's remarkable trip to Fort Ticonderoga to obtain artillery for the fledgling army provide a glimpse into the challenges that the patriots faced. Overall, Orgill has written a fascinating account of an important event in American history. This is a book that would be a great teaching tool in either history classes or Language Arts classes. The options are numerous here. 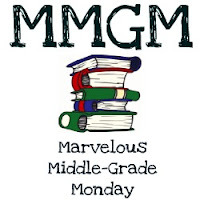 But I think history-loving middle grade readers who pick this up will find much to enjoy as well. Ace unwittingly releases a genie from a peanut butter jar and gets unlimited wishes that he must learn to use with their consequences before all the world's cats and dogs turn into zombies who will eat mankind. Having enjoyed Whitesides Janitors series I was thrilled to discover this new series. The concept behind this new series is a clever one, one I haven't seen in any other book I've read. Ace doesn't expect anything except peanut butter when he opens that peanut butter jar to make himself a sandwich. But what he gets is a genie offering him as many wishes as he wants. There are a couple of catches though. First, each wish has a consequence accompanying it. Some consequences are short term, some are permanent. The bigger the wish, the more uncomfortable the consequence. For example, Ace's first wish is for a lifetime supply of peanut butter sandwiches, which carries the consequence of a smudge of peanut butter constantly visible on his face for a year. The second catch is a quest that needs to be completed in seven days or the world will be destroyed by all the world's cats and dogs turning into zombies. 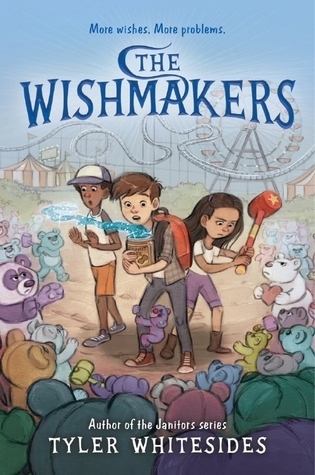 Things get even more complicated when Ace runs into a couple of other kids (wishmakers) with quests of their own that seem to conflict with his. And as the consequences start to pile up, Ace has to decide just what price he is willing to pay to save the world. 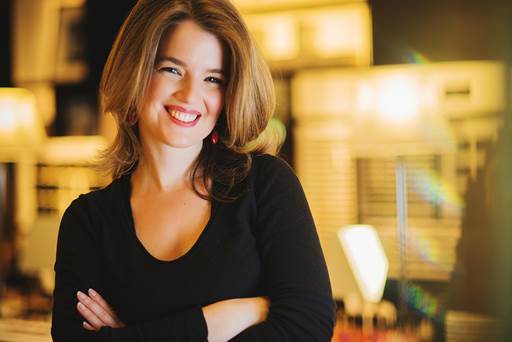 Whitesides has created another fun series opener full of both humor and heart. The occasional illustrations are a delightful addition. I look forward to seeing the unexpected places this series will take me. Mighty Jack is a fun adventure which isn't surprising. Fun stories are what I've come to expect from Ben Hatke. This is a rather unique take on the Jack and the Beanstalk fairy tale. In this version, young Jack has a younger sister who doesn't talk much who he is expected to look out for when his mother is working. At a visit to the local farmer's market, Jack trades his mother's car (she is not at all pleased about this) for a strange box full of seeds. He does this because his sister asked him to and he couldn't resist her request after she actually spoke. When I read this I thought the man who gave Jack the seeds looked familiar (and I was right--he's from the Zita the Spacegirl series). Jack and his sister plant the seeds only to realize that their new found garden is rather dangerous. Jack and Lilly (a neighborhood girl) learn to fight off the dangerous garden elements by using the powers that some of the produce gives them. But when the garden hurts Jack's sister, he tries to destroy it. Unfortunately, it doesn't work and his sister is kidnapped and taken to another world. Jack and Lilly must follow. 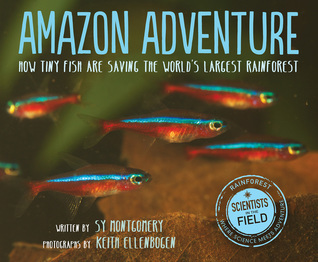 The illustrations are compelling and entertaining and the story moves quickly. As popular as the Zita the Spacegirl books are in my library, I can guarantee that this book will be just as popular. Like a bolt from the blue, Jack's little sister Maddy is gone—carried into another realm by an ogre. 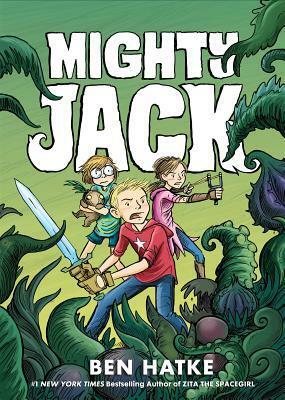 This book picks up right where Mighty Jack ends with Jack and Lilly entering a portal to find Jack's missing sister. As they search for Jack's sister, Lilly falls and they get separated. 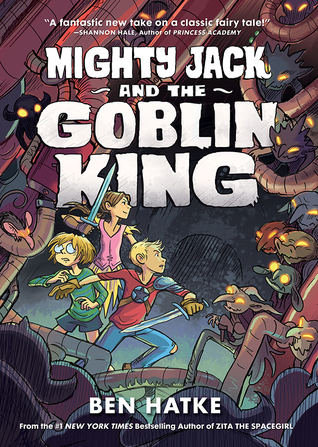 After sending Jack after his sister, Lilly meets up with a bunch of goblins who are living in a sewer beneath the castle that used to be theirs. After defeating the Goblin King who wants to marry her or eat her, Lilly sets off with her new found friends to find Jack. Meanwhile, Jack finds his sister being held captive by giants in a castle. But they aren't going to eat her themselves, instead they plan to feed her to a machine that will allow them to take over the castle for good. 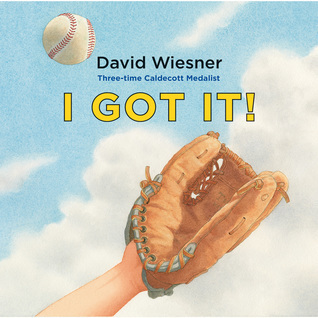 Jack and Lilly must team up to defeat the giants, even though the price may be higher than they want to pay. This is a fitting conclusion to the story of Jack and Lilly, although the ending indicates a new beginning of sorts. Once again, Hatke has created an appealing, exciting adventure that young readers are bound to enjoy. 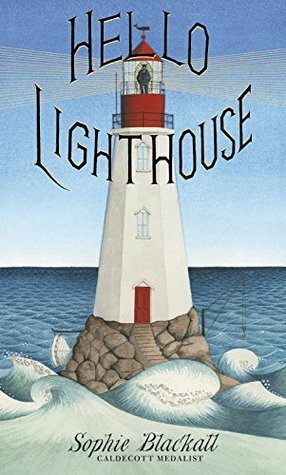 Sophie Blackall has created a truly beautiful book in this tale of life in a lighthouse. I'll admit I've been in a lighthouse, and I couldn't do it. The limited space and unlimited time to yourself would get to me very quickly. Of course, lighthouses are run automatically these days, but I thoroughly enjoyed reading about what it was like to live in a lighthouse years ago when that was necessary to keep them running. Blackall's matter-of-fact text wonderfully complements the gorgeous illustrations that show the many different tasks that a lighthouse keeper had to master. And yet despite all those tasks, there was much down time. In the story, the keeper's wife comes to live with him, but their isolation is still clear as they go about their lives with little contact with other people, except when shipwrecked sailors are rescued. A beautiful tale of a very different way of life from not so long ago. 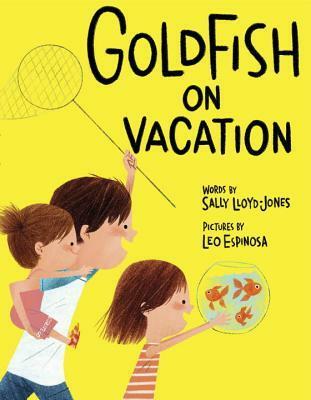 From a New York Times bestselling author and a rising-star illustrator comes a humorous tale based on an amazing-but-true story about the summer a city fountain was used as a goldfish pond. H, Little O, and Baby Em are stuck in the city for the summer with only their pet goldfish--Barracuda, Patch, and Fiss--for company. It's looking like it might be a pretty boring vacation, but one day, something exciting happens. Someone starts fixing up the old fountain down the street--the one Grandpa says horses used to drink from before everyone had cars--and a sign appears: "Calling All Goldfish Looking for a Summer Home." H, Little O, and Baby Em can't wait to send their goldfish on vacation, and the fish, well, they seem pretty excited too. Based on the true story of Hamilton Fountain in New York City, this charming tale of one special summer. I quite enjoyed this cute story about summer in the city. The three children live in an apartment building near an old un-used fountain. But one summer the fountain is revamped and opened. The neighborhood children are invited to bring their goldfish to the fountain for a 'vacation' from their small bowls. In the process, the children get together and have a good time as well. The story is a fun one about community and finding ways to enjoy whatever environment you might be in. Of course, I'm pretty sure that the children don't get back the same goldfish they dropped off, but does it matter? 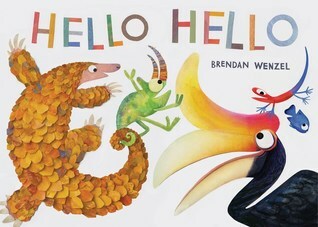 The illustrations are bright and attractive and complement the story nicely. This is an important story about sticking to your values no matter what. And even better, it's a true story. When young Betoli, a Navajo boy, is sent off to boarding school, he's told that his new name will be Chester. Like so many Native children of the time, he faced a school telling him he needed to give up his culture in order to be successful in 'the white man's' world. He wasn't allowed to use his language, he had to dress and look like a white boy, and he had to attend school in a place where his people suffered greatly. But Betoli/Chester was a brave kid, and he chose to hold on to the things he valued, including his language and culture. And his summers spent at home helped him to do so. Later as he prepared to leave the school, World War II broke out. Despite the way he had been treated during his school years, Betoli/Chester chose to fight for his country. He ended up joining the Marines when they came looking for Navajo men who could speak both English and Navajo. 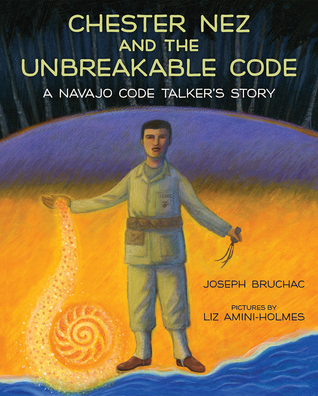 He joined a group of other Navajo speakers and helped create a code that the enemy couldn't break. He then spent the rest of the war using the code to transmit messages. His cultural traditions helped him survive the war as well as the combat fatigue (PTSS) he experienced when he got home. 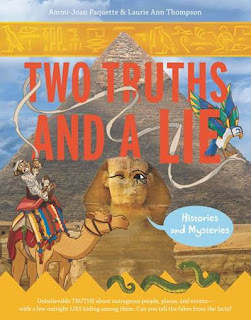 A remarkable story about courage and faith and integrity, a story that reminds readers of the importance of choosing for oneself what to believe and how to live one's life. Nisha likes her life except for one thing. Her mother died when she and her twin brother Amil were born. When she is given a diary for her twelveth birthday, she decides to write letters to her mother. Life in her village isn't perfect but it isn't bad either. She and her brother attend the local school where she has no real friends and her brother is bullied but she gets to help out the family cook, Kazi prepare the meals. Her father is a doctor who works at the local hospital and while he isn't particularly tender, he does take care of them, even though he has little patience for Amil's learning difficulties. But things take a sudden turn when India gains her independence and tensions between Muslims and Hindus explode into violence. With a mother who was Muslim and a father who is Hindu, Nisha doesn't understand why this is happening. Why people who used to get along, don't anymore. The announcement that India will be split into two separate countries (India and Pakistan) the violence gets worse. Nisha learns that her family is going to have to leave the only home she's ever known because Hindus are no longer welcome in what will soon be Muslim-dominated Pakistan. Heart-broken and confused, Nisha must leave behind most of what she's ever known, including her beloved Kazi. The journey itself is difficult for everyone but meeting her mother's brother offers a spark of hope. I really enjoyed reading this book and not only because it takes place outside of the United States. Nisha is a fabulous character, who though she's growing up is still a child in many ways. She wants to know what the adults are whispering about, but once she finds out, she doesn't understand it and it scares her. She gets along with her brother most of the time, but they get on each other's nerves sometimes too. And Nisha struggles with her own personal weaknesses as well, including shyness. 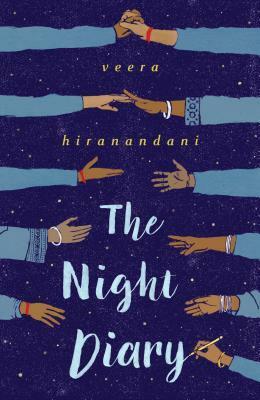 I appreciated the fact that the problems in Nisha's life aren't all solved by the end of the book. 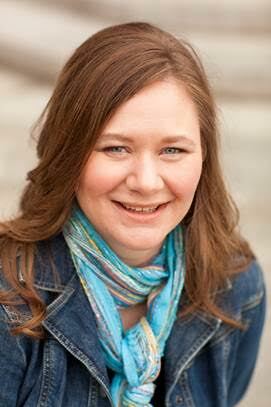 While things are better, her life has still almost completely changed. Yet hope remains alive and well despite all the heartache and changes in Nisha's life.